Ok though I made it myself, all I can say about this is yummmyyyyy, but then chocolate and coffee are most probably two of my favourite things. Stir coffee into milk until it’s dissolved. Place butter in a large bowl and beat well until fluffy. Add all other ingredients and beat well until smooth, for about 5 – 8 minutes. 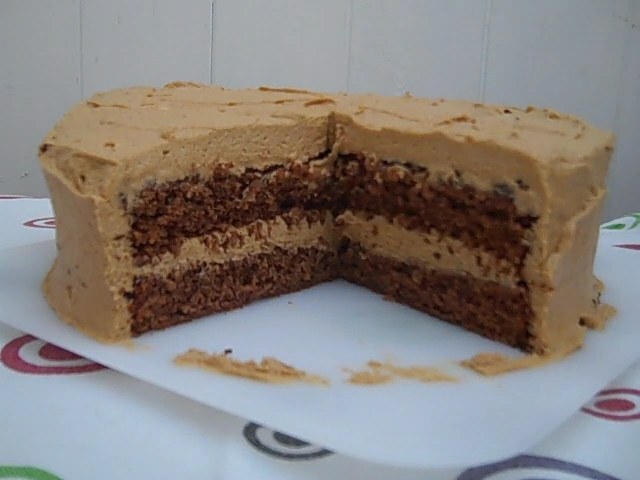 Sandwich the cake together with some of the buttercream then completely cover the cake with the rest of it. This cake is good if kept in a sealed box in the refrigerator.